“100 Bottles of Beer on the Wall”…..well, actually the count is now over 1500 bottles! 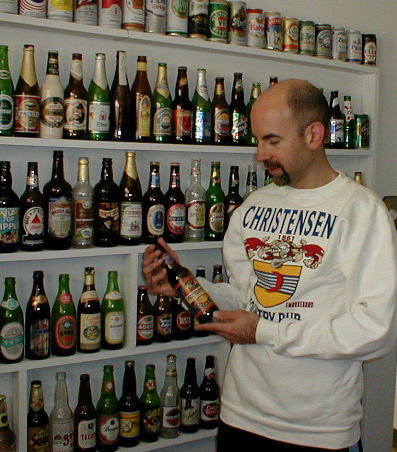 Welcome to my beer bottle collection site! Grab a cold one and relax! Browse my current list of bottles and cans. Read history of beer, drinking games, bottle values, famous quotes and trivia on these beautifully shaped scraps of colored glass which are piling up all over my house! Watch the funniest beer videos & enjoy breweriana links. Buy some beer merchandise for yourself or as a gift. On your mobile device? Download my Beer Fun App! Have you visited my Beer Room? Check out this magazine article (pdf) about it which appeared in Living Well in 2012. It was written by one of my web design clients.